My Horse Is Eating Dirt – What’s Going On? My horse is eating dirt! Why on earth is this happening? Can it be that he prefers the taste of mud to his incredibly expensive, fancy horse food and delicious hay? Why is my horse eating dirt? If you notice your horse nosing around in the soil for a few sneaky mouthfuls, don’t freak out and call the vet straight away – it’s a completely normal thing, and there are several reasons for it. Dirt contains minerals – Several of the important minerals essential to your horse’s health are found in dirt, and these may be more easily absorbed from a mouthful of soil than by man made supplements. Microbes can help the digestive system – Dirt contains a huge host of different bacteria, many of which contribute to a healthy microbiome. Coarse particles help keep teeth smooth – You may notice that horses who have access to dirt on a daily basis need their teeth rasping far less often then their stabled counterparts. This is because the larger pieces in the soil, often tiny pieces of stone, will naturally file away your horse’s sharp edges. Water and salt help a horse stay hydrated – Both these things are found in soil, so you may find that your horse is actually thirsty if he is eating excess dirt. Always make sure plenty of water is available, and putting a salt lick within easy reach is always a good idea. Boredom can contribute to dirt habits – If your horse has nothing to do, he may try to amuse himself by eating things he’s not really supposed to. Make sure he has entertainment if you are worried about this. 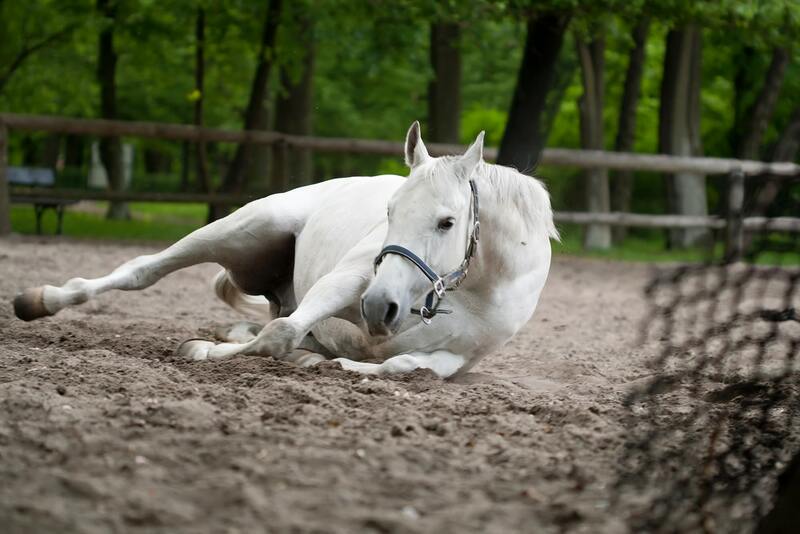 An upset stomach – If a horse has tummy troubles, you may find that he seeks out soil, and specifically clay, to eat. Clay is known for its absorbent properties, meaning that it can bind to certain bacteria that are causing issues, and help them be harmlessly removed from the gut. 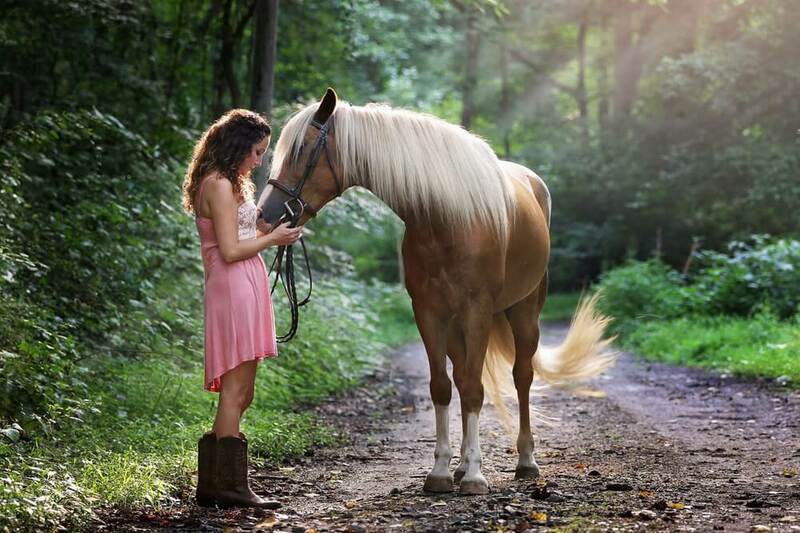 Fiber deficiency – A horse who is deficient in fiber will eat just about anything he can to try to redress the balance – shavings, straw, bark, fence posts – and soil. Make sure your horse has plenty of roughage in his diet to avoid this problem. Parasites can cause dirt eating – Horses are clever creatures with good instincts, and they will choose this rough natural method of “worming” themselves if their parasite load gets too much. Always make sure you are on it with your horse’s worming schedule to avoid this and other problems. What If He Eats A Lots Of Dirt? If you notice that your horse is suddenly eating lots of dirt where he didn’t before, it is worth looking into reasons why. Is his tummy sore? Does he have worms? Does he need more salt in his diet? If your horse has always been a mud licker then you have probably googled “why is my horse eating dirt?” a million times already and are supplementing and making sure there are no underlying issues, but if you’ve only just noticed this habit then you should take a little time to try to understand why, so you can deal with any potential health issues that are causing it. If your horse’s dirt eating career has been something that you have noticed but not really paid much attention to, don’t suddenly feel guilty and decide you have to take action – dirt is actually good for horses. They consume a fair bit of it throughout the day as they eat, as it is unavoidable to get a bit of dirt in your mouth when you are grazing, and tend to seek it out if they don’t have access to it. In fact, some horses may have a bit of a dirt binge if they have been kept in for a few days! The condition where an animal eats soil is known as Pica – you may have heard of it in terms of pregnant women who eat coal and other strange, unpalatable things. It is caused by a lack of nutrients, or a lack of a specific nutrient, and animals are clever enough to know instinctively where they will get these missing minerals from. It is worth keeping a close eye on your horse before you rush out and buy vitamin supplements, to make sure he’s not just nosing around on the ground to pick up the last little bits of food he dropped, or that Polo mint that fell out of your pocket. He may not be deficient at all, just greedy! That being said, giving a few extra vitamins and minerals in your daily feed is never a bad thing, and can help to prevent problems before they start. 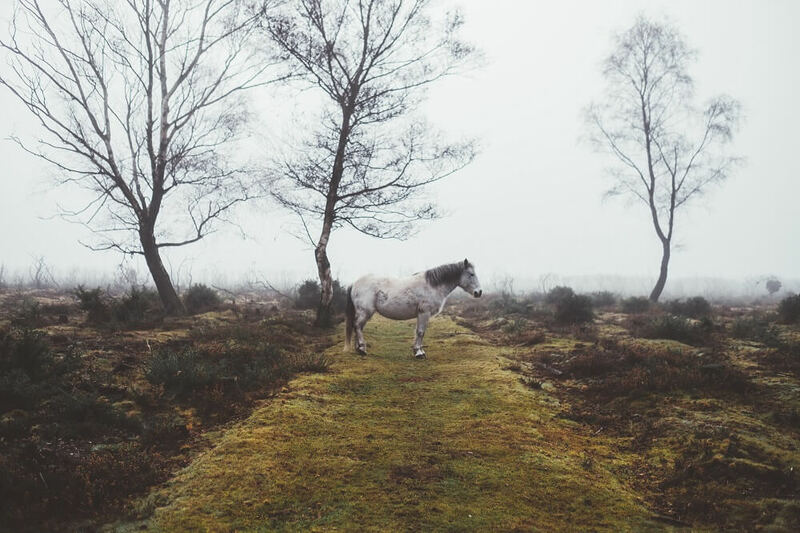 You should also make sure that your horse is up to date with his worming schedule, and always ensure that he has access to plenty of fresh, clean water. Remember that eating dirt is not only natural, but very beneficial to horses, so don’t restrict access to good grazing because you’re worried about him eating dirt.